I’ll open this post with a confession: I once watched a little green caterpillar eat the entirety of a dill plant my wife had planted in a windowbox. How could I not? He was so cute, and so industrious! If you feel the same way, but you also would like to retain your plants for your own use, might I suggest our new Book of Caterpillars? 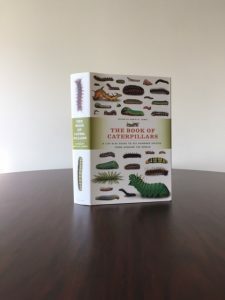 A very big book about little creatures, offering life-size photographs of six hundred species, accompanied by information about their range, habitat, diet, and the moths and butterflies they eventually become. To whet your appetite, some samples follow. The Loepa Megacore. The Forest Tent Caterpillar. The unforgettably named Lettuce Shark. And the, well, commandingly named Commander. The Book of Caterpillars is inching its way to a bookstore near you right now! . . .
One of the great things about being part of a university is that our part-timers tend to be students—and tend to be engaged with the content of the books we publish. Here’s an example: a review by Tunisia Kenyatta, an undergrad who, when we’re not loading her down with work for our publicity team, studies in the Department of Comparative Race and Ethnic Studies. 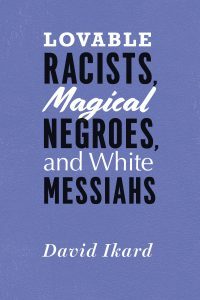 “As I was writing this book, America felt like it was on fire . . .” – David Ikard Full of contemplative, sobering analyses, Lovable Racists, Magical Negroes, and White Messiahs identifies, defines, and locates the origin of white supremacist tropes, presenting strikingly clear pictures of the methods and manifestations of each. While asserting that he who controls the master narrative controls the perception of reality, Ikard offers compelling criticism of this reality as he engages with the work and insights of black artists and activists like James Baldwin, Toni Morrison, Frederick Douglas, Melissa Harris-Perry, and Ta-Nehisi Coates. In addition to addressing racially biased political campaigns and administrations, Ikard examines how media coverage of Hurricane Katrina, Sandy Hook, and the Charleston shooting show how racial bias raises its head even in tragedy. Rich in reference to . . .